Usually a Prairie Racerunner Lizard is too fast for me to capture an image. I will see a tail diving into leaves or a blur of yellow streaking past me. My wonderfully tall husband Rick spotted this beautiful Lizard and I immediately leap across rocks trying to get ahead of it. My attention was to catch an image as this colorful creature ran past me. It was a surprise when we ended up facing one and other. I stepped back onto a higher rock giving room in case it wanted to flee. It didn’t so I was blessed to get these lovely images. Normally I feel great disappointment when I see graffiti in Hot Springs National Park. 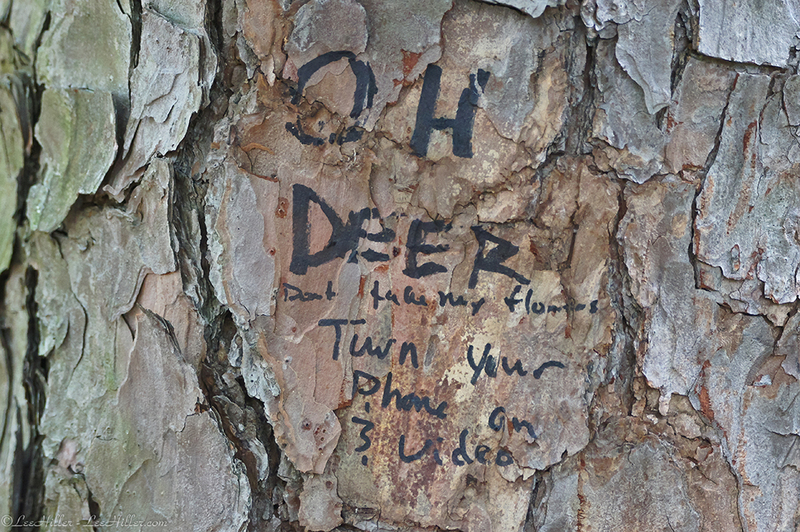 However this message written with a marker on a pine got my attention in a good way. It has been a constant annoyance to find whole fields of Wildflowers picked or dug up in Hot Springs National Park. 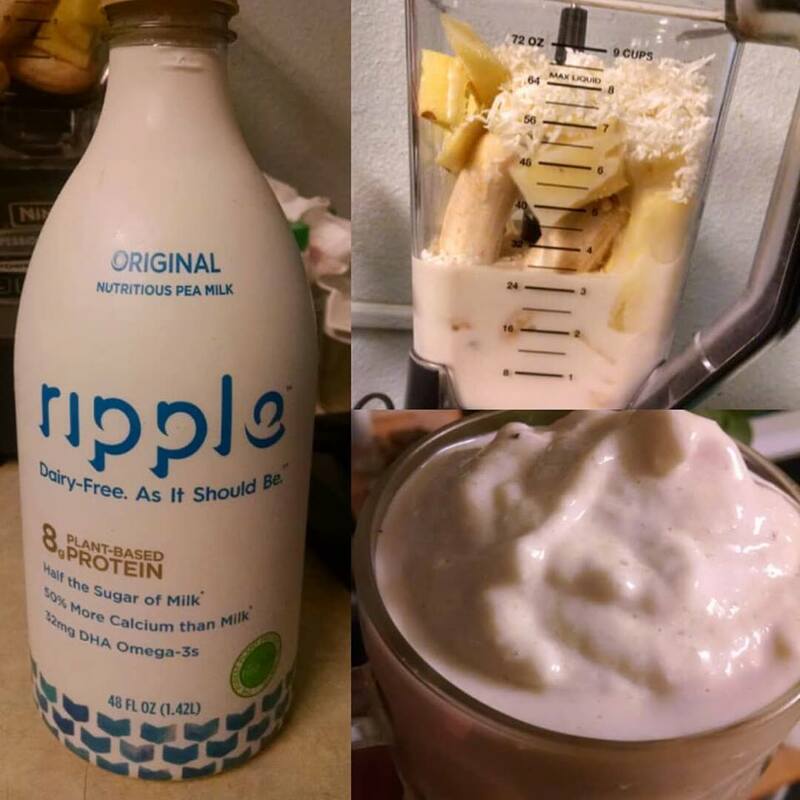 I go hiking in the morning and often by evening when I take a second hike with my husband they have been picked or removed. These Wildflowers are on protected land, the only one who should pick them are the Wildlife that need them for food. The plants in the park are there for the enjoyment of all not for a select few who steal them. These beautiful blossoms do not belong in restaurant salads or for sale by herbalists (yes we have seen your truck in the park). The many beautiful seasonal plants belong along the trails for ALL to enjoy. It is with a sad heart I must stop listing the trails on which I spot specific Wildflowers and Fungi as some may be using my blog as a guide for their poaching. Fungi are in bloom in Hot Springs National Park. Rain, heat and humidity create the perfect cocktail to feed the spores waiting in logs, along trails edges, among the decomposing Leaves and at the base of many large Trees. 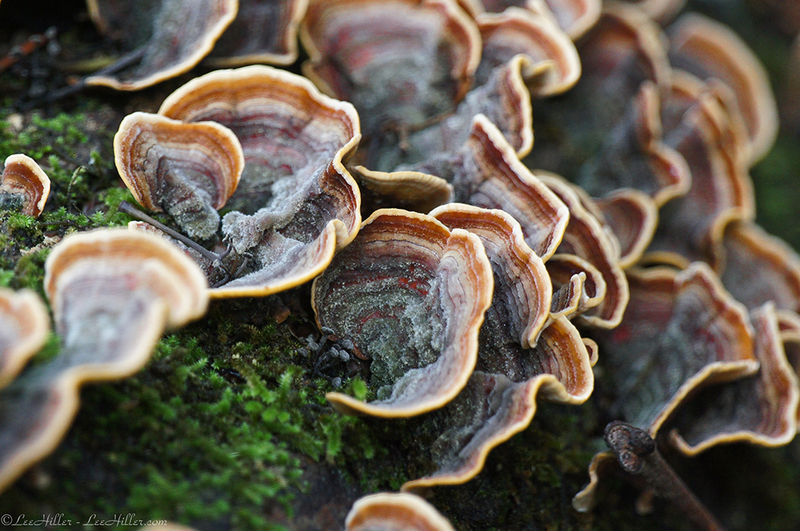 False Turkey Tail Fungi are abundant in the park and are always changing colors as moisture and temperature change. As I was looking at the photograph above I saw a tiny detail that looked as if little people of the Forest had left their tools among the Fungi. 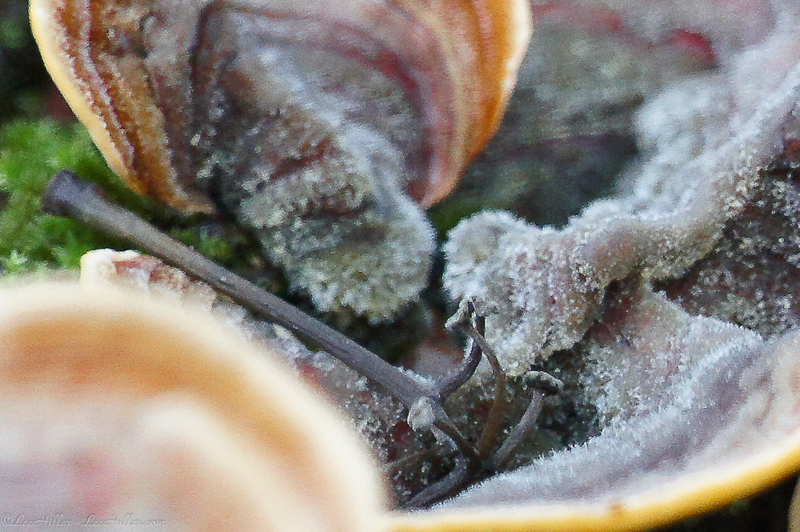 A teeny hook tool lay near the tiniest of fungi as if it was been used to harvest the little button tops. 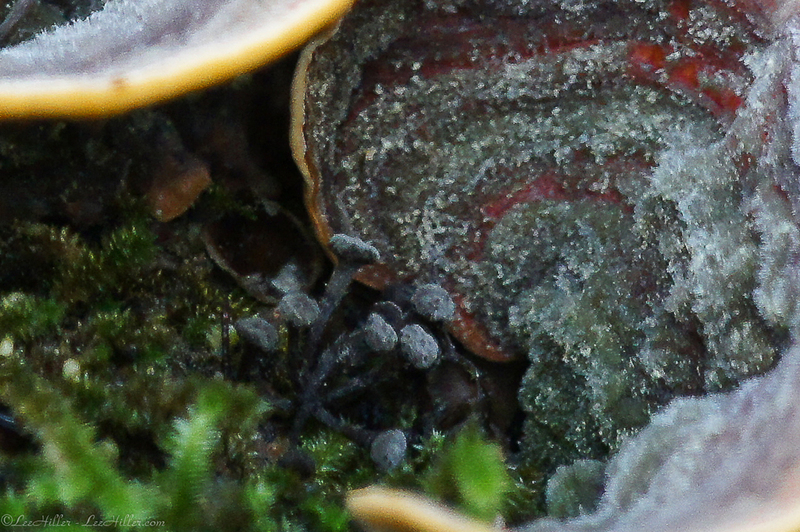 This is when I reexamined the image and discovered a world of tinier Fungi among the False Turkey Tail fans. At some point May became a busy month and I lost sight of a folder of photographs. May 4th 2014 was a beautiful spring morning and my beloved husband and I had a lovely hike in the Forest of Hot Springs National Park. I saw my first Indigo Bunting and shot into the sun trying to capture even a hint of its beauty within the blinding rays. A lovely Red Spotted Purple Butterfly land on a leaf above my shoulder and bathed in the early warmth of the sun. Green enveloped my senses and I was sure each breath carried a taste of spring. Daisy Fleabane danced in the breeze as a Spicebush Swallowtail Butterfly drank nectar from cascading blossoms. How could I have forgotten these photos?